Are you a freelance blogging newbie? Are you trying to build an effective freelance blogger website that attracts clients and other professionals alike? If you answered yes to both of these questions, then you’ve come to the right place. Creating a freelance blogger website that converts is no easy task. I mean, there’s a lot that goes into it. From web page design to content and navigation, it’s important that your freelance blogger website is both attractive and functional. After all, according to Adobe, two-thirds of people would rather check out something that’s beautifully designed online than something plain. The content also needs to be top notch if you want to successfully sell your services or reach fellow freelance bloggers in your niche. 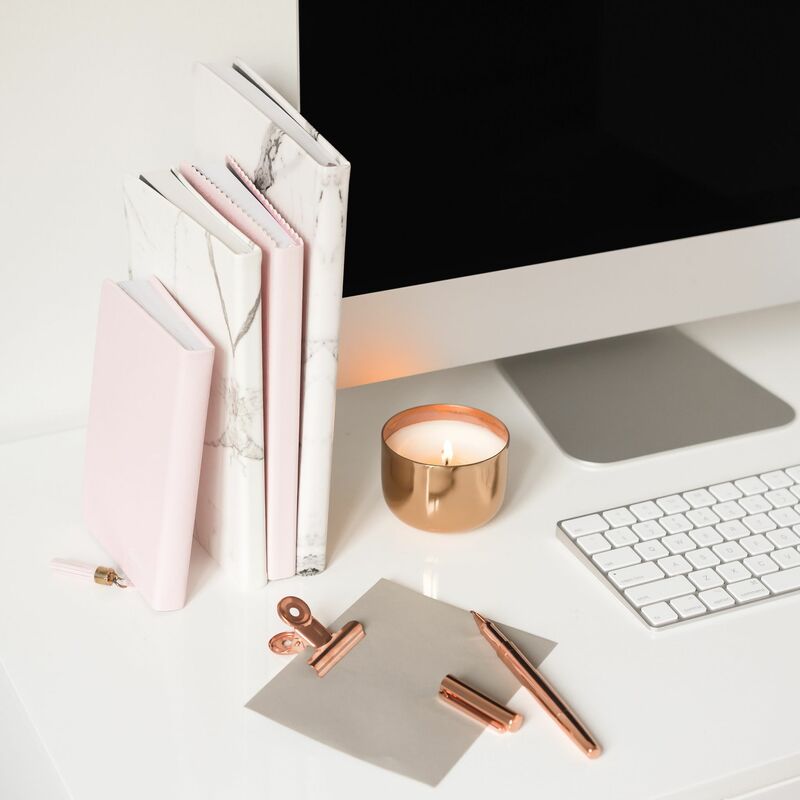 Whether you’ve already got a basic freelance blogger website up and running or you’re starting from scratch, not to worry—I’ve got you covered. Read on to discover the 5 elements that take your freelance blogger website to the next level. First thing’s first, 38% of people will stop engaging with a website if they think the layout isn’t very aesthetically pleasing; therefore, a strong visual design is everything. You don’t have to be the best graphic designer in the world, but you do have to try and view your freelance blogger website through your visitor’s eyes. You also need to choose a website theme that makes you do the heart-eyed emoji. True story. If you’re just starting out, WordPress have some free themes that are pretty basic but get the job done. However, if you’re ready to start investing in your business—because let’s face it, you get out of it what you put in—you should check out some professional template providers. 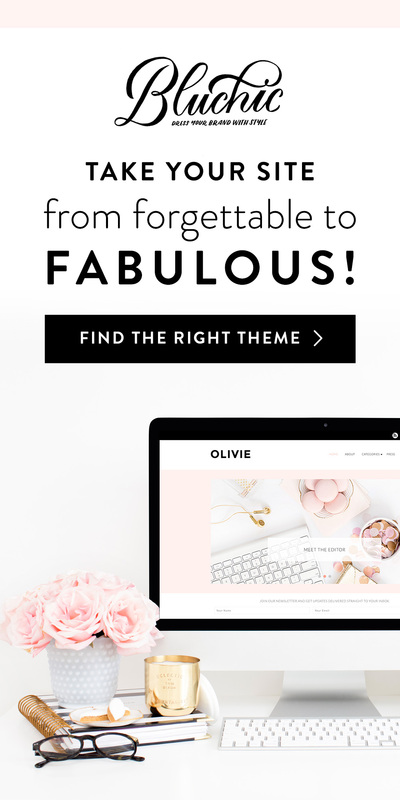 Personally, I love Bluchic for fun, feminine WordPress themes. My Victoria theme costs the price of one, short article—but it lasts a lifetime. And that’s the gift that keeps on giving, am I right? In addition to a fancy-pants theme, you should also consider featuring a logo on your freelance blogger website. After all, your logo is the USP of your website. Multiple people can invest in your theme, but there’ll only be one logo that represents your personal brand—and effective branding is so important if you want to stand out in the oversaturated freelance marketplace. Plus, according to KoMarketing, 36% of visitors click on a company’s logo in order to reach the homepage. Do you know what that means? Your logo needs to be clearly positioned in your website’s navigational menu and catch the eye of your visitor, while simultaneously representing your personal brand and values in an authentic and coherent manner. You should also try to design your logo in a way that fits in with the overall aesthetic of your freelance blogger website. I mean, it’s a no-brainer that consistency is predominantly the key to website design success. 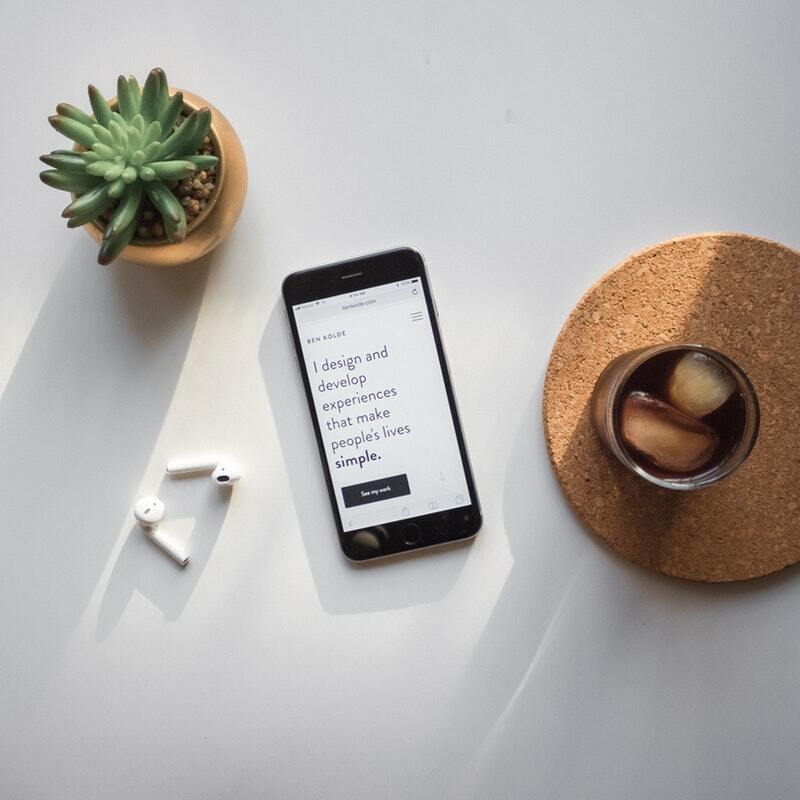 As well as consistency, simplicity is also an important factor to consider when you’re building your freelance blogger website. Ever been on a website that has so much going on with it that you don’t know where to look? And it leads to you clicking away from it pronto just so that the nightmare will stop? Yes, that’s right—information overload isn’t cool. 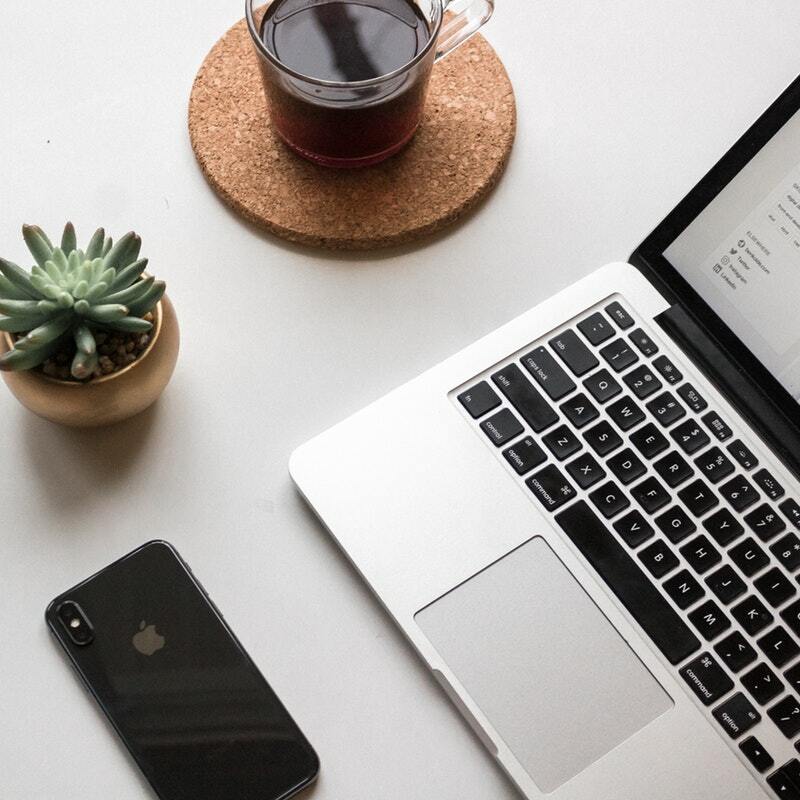 Don’t feel like you need to fill every bit of white space, or “empty” space, that acts as a buffer amongst all the elements of your freelance blogger website. Why? Well, an overcrowded website understandably overwhelms a visitor. You want to ensure that your website is easy to process, which then makes the whole experience more user-friendly. Moreover, the less crazy graphics and features involved, the more functional that your website will be. After all, you should be striving for the best possible performance and optimal loading times, because 39% of people are likely to stop engaging with a website if it takes too long to load. Self-hosting your website keeps loading times to a minimum, especially through the SiteGround platform. SiteGround has gone beyond the industry standards by keeping the load on their servers far below their capacity. This allows them to support each and every corner of the World Wide Web, including—you guessed it—your freelance blogger website. Speaking of the functionality of your freelance blogger website, don’t forget to make the navigation aspect super straightforward. Well, your navigational menu is how you take your visitors to where they want to go. It needs to instantly catch the eye of your visitor and be accessible, as well as simple to use. Plus, it’s a well-known fact that 50% of visitors use the navigation menu to orient themselves after clicking on a company website via a referral site. Some freelance blogger also have their own blog, which I heartily recommend for showcasing your expertise in your niche. In addition to this header menu, you should ensure that you have icons that link to your social media profiles distinctly visible across every web page. Equally, a search bar is an extremely useful tool for your visitor to be quickly directed to where they need to go. Whether both of these elements are present in the header menu, footer menu or on either side of any given page, they work together to make life easier for your visitor—and that’s what it’s all about, right? So, you’ve got the design, navigation and functionality of your freelance blogger website all sorted—excellent! Now what? Well, it’s about time that you crafted some compelling content. You’re a blogger so, needless to say, this part needs to be kind of special. According to BluLeadz, mediocre copy translates into fewer leads. But great copy? You guessed it—great copy converts. Moreover, you need to be methodical with the types of information that you include on your freelance blogger website. When it comes to your “Services” page, you need to include as much detail as possible. Why? Well, according to KoMarketing, 47% of visitors look at this page before any other part of a website. 51% of visitors also think “thorough contact information” is the most important element that’s missing from many company websites. Ergo, be sure to include a contact form on your “Contact” page, an email address or a phone number—or perhaps all three—to ensure maximum results. And not to mention, SEO is kind of a thing. If you want your freelance blogger website to rank well on Google, then you need to ensure that your content is SEO-friendly. As well as inserting relevant keywords as and when is possible, you should format your content in such a way that’s effortlessly digestible to the reader. Headers, sub-headers, bullet-point lists—you name it—if your website’s got them, then Google’s going to like you as much as your visitor does. And that’s a win-win situation. 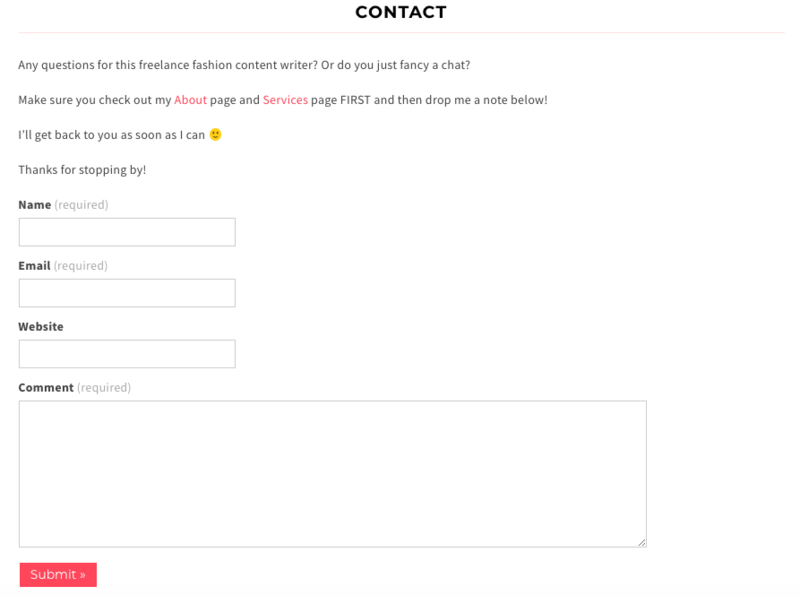 Last but not least, another element that will take your freelance blogger website to the next level is a bunch of persuasive CTAs. The purpose of a freelance blogger website is to try and build a relationship with your visitor. If you include appropriate CTAs and persuade your visitor to perform a particular action and continue the conversation with you, then you also start to build trust. And trust is essential for converting leads into clients. Develop a key goal for your freelance blogger website, whether this is obtaining new clients or building a freelance blogging community, and then strategically incorporate CTAs that reflect this goal. You can place these CTAs in your sidebars, header, footer, at the end of blog posts—wherever works—but make sure that you include a handful of them. I mean, you can never have too many opportunities to engage with your visitor, right? Building a visually striking yet high-performing freelance blogger website is challenging. However, it is possible. You just need to be prepared to spend the time, money and energy investing in the dream. Oh, and don’t put too much thought into the SEO aspect in the early stages. Why? Well, your freelance blogger website should hold tremendous value for the visitor first and foremost. Your content and functionality should be top drawer before you even consider your search engine rankings. Don’t forget that Google is smart. Google knows if you’re building a website solely for the purpose of driving traffic instead of providing value. It’s important that you don’t try and trick Google as it will only end in tears. Rather, optimise your freelance blogger website to attract clients and other professionals alike and build loyalty—and the rest will naturally fall into place. What do you think the most important element of a freelance blogger website is? Let me know in the comments!